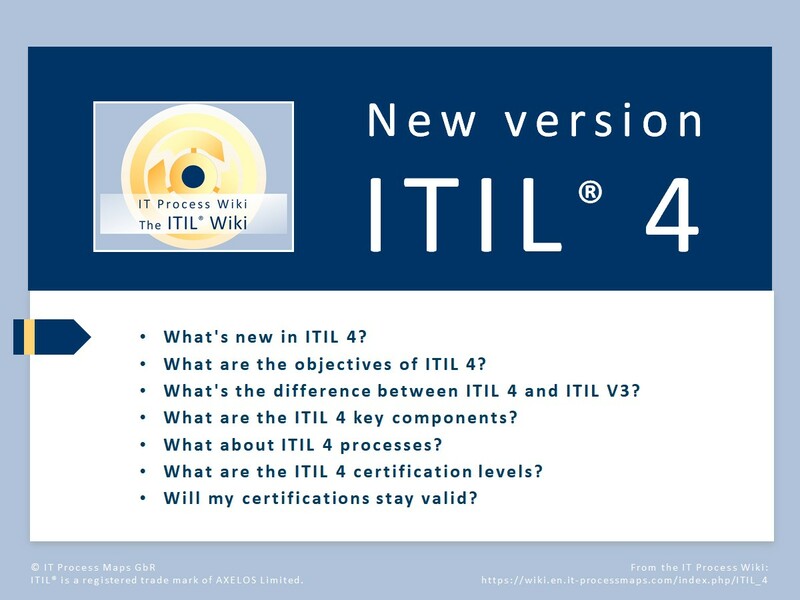 ITIL 4 - the most recent release of ITIL® - was launched in February 2019. It's the first major update to the ITIL framework since 2011, designed in large part to keep up with recent trends in software development and IT operations. ITIL 4 provides a flexible foundation for organizations that need to integrate various frameworks and approaches into their service management operating models. The new ITIL version aims to help businesses navigate the new technological era of digital services. ITIL 4 and ITIL V3: What's the difference? What about ITIL 4 processes?